A Psychologist can help you to gain insight into your thoughts, feelings and behaviour as well as provide you with strategies for coping with significant changes or transitions which are causing difficulties. Our sexuality is a significant part of who we are, affecting the way we think and feel about ourselves, our bodies, and often extending to our relationship with others. If you are concerned about your sexual health. Reach out we can help. Welfare in the workplace is critical to your company’s success, and our specialist corporate counsellors and coaches provide a range of contemporary services to enhance your team’s performance. Welcome to Therapia Psychology. We offer best practice Counselling and Psychology. Our counselling is available to individuals, couples and corporate organisations. Our psychologists utilise treatments backed by demonstrated research. 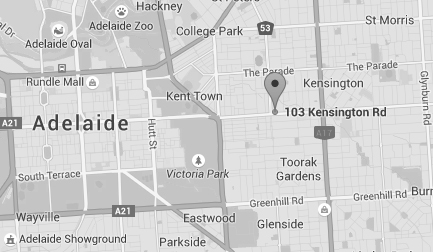 We are located on Kensington Road in Norwood. Our practitioners are highly experienced, caring psychologists. We are committed to helping you and your family members find the best version of yourself. Our psychologists will help you to gain insight and perspective, enabling you to understand your motivations, your goals, and those of your partner. We can offer you tools, tips and techniques for coping and succeeding, moving towards a better, more positive life. We understand that finding time to attend appointments can be tough. Let us help. For those that travel or find it difficult to attend in person we can facilitate sessions via Skype. Contact our Adelaide practice on 8364 3811 or simply fill our online contact form to make a booking. Immediate appointments along with Medicare and Private Health rebates apply to some services. What makes relationships work and what contributes to their demise? For a private, no obligation discussion on how Therapia could help you, please leave your details below and we will get back to you.